Home » Commercial Real Estate » How do you evaluate the Risk Free rate in Real Estate? 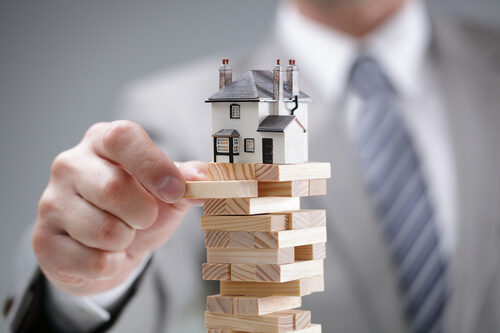 How do you evaluate the Risk Free rate in Real Estate? Typically, when real estate investors evaluate the risk free rate for investment purposes, they look no further than the interest rate on 10 year treasury bonds. The ten year rate is the typical time horizon for long term asset pricing. A premium is then added to adjust for the risk of the asset in order to compute the expected return. For example, if you are investing in an Investment grade property carrying a credit of BBB, you can expect a premium of 250-300 basis points above the risk free rate. So if the rate today is 3.16% for the 10 year bond, we can expect pricing to be between 5.66% and 6.16% for the real estate asset. But hold on, the cost of borrowing for this real estate asset is 4.90 %. If you had a mortgage on a like asset, you can elect to pay down the principal with your excess cash and it’s like you are receiving a return of 4.90% risk free. If we add the risk premium of 250-300 basis points the expected return would need to be 7.40% to 7.90% if you were to purchase a Real Estate asset. Let’s compare this expected return to investing in the Stock Market. The Dow Jones Industrial Average is currently 25,400. In order to achieve a 7.50% return, the market would need to close at 27,305 at the end of 12 months. We have seen the market slowly declining since the Federal Reserve began it tightening and it is expected that it will continue with a least two more rate hikes by the end of 2018. This will continue to increase the cost of borrowing and we can expect rates to approach 5.3% by the end of the year. If you have excess cash looking to invest would you be happy with a risk free return approaching 5 percent or do you want to invest in a stock market with raising interest rates lingering in the wings? The old saying “Don’t fight the Fed” has been proven time and time again. If you are looking to stand pat, start paying down your mortgage and take advantage of a higher risk free rate than treasuries. But if you are looking for a safer securitized return verses the stock market, give me a call and we can discuss a quality real estate investment.